Britain’s world-leading researchers, entrepreneurs & manufacturers will benefit from an additional £780 million to create the technologies of tomorrow, the Chancellor has announced. Philip Hammond will expand successful ‘catapult centres’ which are fuelling innovation across the country as part of the UK’s ambitious, modern Industrial Strategy. This new funding will back Britain’s brightest talent – supporting work in high-tech labs, cutting-edge factories and advanced training centres. So far, this has helped create hundreds of new products, services and inventions, including a portable pollution sensor that parents can attach to a child’s buggy, cellular therapies to fight cancer and improve recovery of stroke victims, LED treatment for blindness, and more-efficient wings for aeroplanes. The Chancellor made the announcement during a visit to the West Midlands on the day GDP figures showed the UK economy has grown by 0.4%. The Chancellor of the Exchequer, Philip Hammond, said: “We are working hard to build a stronger, fairer economy – dealing with the deficit, helping people into work, and cutting taxes for individuals and businesses. Unemployment is at its lowest since the 1970s, our national debt is starting to fall, and the economy has grown every year since 2010. “It is by backing innovative British companies to grow and create jobs that we will continue this progress and build an economy fit for the future. Today’s £780 million investment will support innovators across the country to create the technologies of the future, and the better, highly-paid jobs we urgently need. Mr Hammond met with apprentices and workers, who specialise in automation and machining, at the Manufacturing Technology Centre in Coventry. 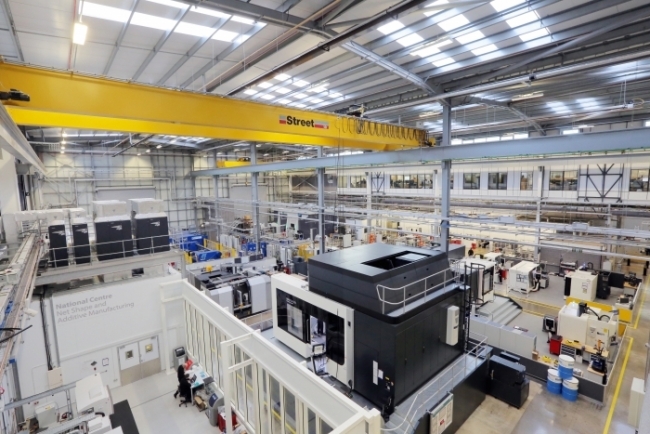 This high-tech facility has benefited from £122 million of government funding, and is currently a world-leader in 3D printing. Business Secretary Greg Clark added: “We are a nation of innovators, creators and entrepreneurs. Through our modern Industrial Strategy, backed by the largest investment in R&D in 40 years, we are boosting growth, creating new highly skilled jobs and helping change people’s lives for the better. Dr Ian Campbell, Interim Executive Chair of Innovate UK, said: “Today’s significant announcement means our world-class network of catapults can build on their success and continue helping thousands of businesses across the UK to undertake innovative R&D. This long-term investment will mean the catapults can help deliver the Grand Challenges of the Industrial Strategy in their sectors and help the UK achieve its ambition to raise investment in R&D to 2.4% of GDP by 2027. In their first five years the catapults have supported around 3,000 small businesses to develop and exploit new technologies. 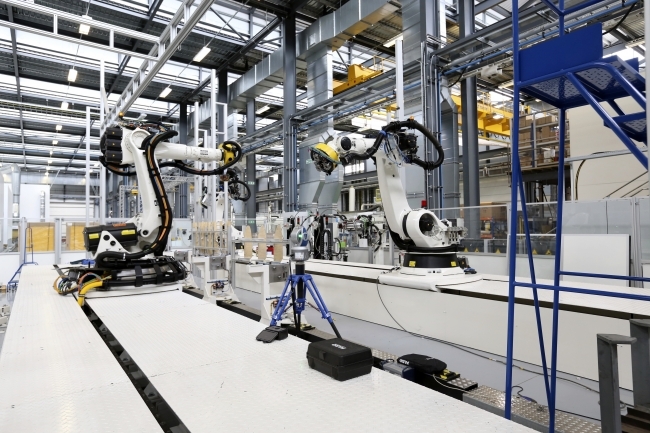 They operate more than £850m world-class facilities and are also training hundreds of apprentices and doctoral students, such as at the High Value Manufacturing Catapult where in the last year 900 apprentices have gained invaluable practical experience with cutting-edge technologies used in modern manufacturing. For the Manufacturing Technology Centre in Coventry and Warwick Manufacturing Group (both part of the High Value Manufacturing Centre) and the Energy Systems Catapult, in Birmingham. For the Advanced Manufacturing Research Centre, in Rotherham and Sheffield, and Nuclear Advanced Manufacturing Research Centre in Rotherham (both part of the High Value Manufacturing Centre). For the Offshore Renewable Energy Catapult in Blyth and the Centre for Process Innovation in Redcar. For the Cell & Gene Therapy Catapult in London (and Stevenage). For the National Composite Centre (part of the High Value Manufacturing Centre) in Bristol. For the Satellite Applications Catapult in Harwell. For the Compound Semiconductor Catapult in Cardiff. For the Advanced Forming Research Centre in Strathclyde (part of the High Value Manufacturing Centre) and the Offshore Renewable Energy Catapult.